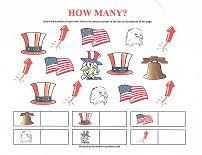 Try some worksheets for kids as an added bonus to the 4th of July holiday. 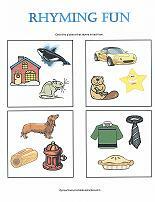 These worksheets will help reinforce basic skills kids will need when they go to school. 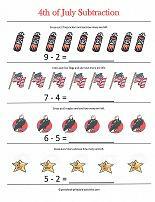 Make sure to talk about the meaning of Independence Day and why we celebrate. 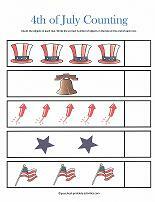 Show children the symbols of the holiday and explain the meaning behind them. 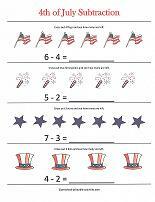 Count the symbols of Independence Day with this fun worksheet. Place the correct number in the box at the end of each row. 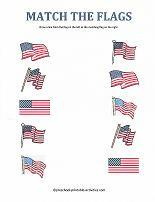 This worksheet asks the children to draw a line from each flag on the left, to the matching flag on the right. Count the colors of the 4th of July! 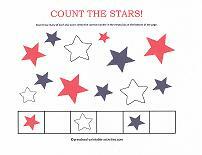 Count each color of stars and place the correct number in the box at the bottom of the page. Try a 4th of July color search. Circle only the items that are red, white or blue. 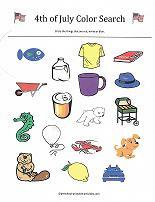 This worksheet will have the children counting several items. Count each item and write the correct number in the box at the bottom of the page. 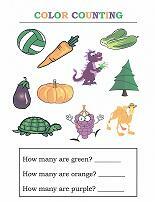 Have fun with subtraction by crossing out the correct number of objects to find the answer!